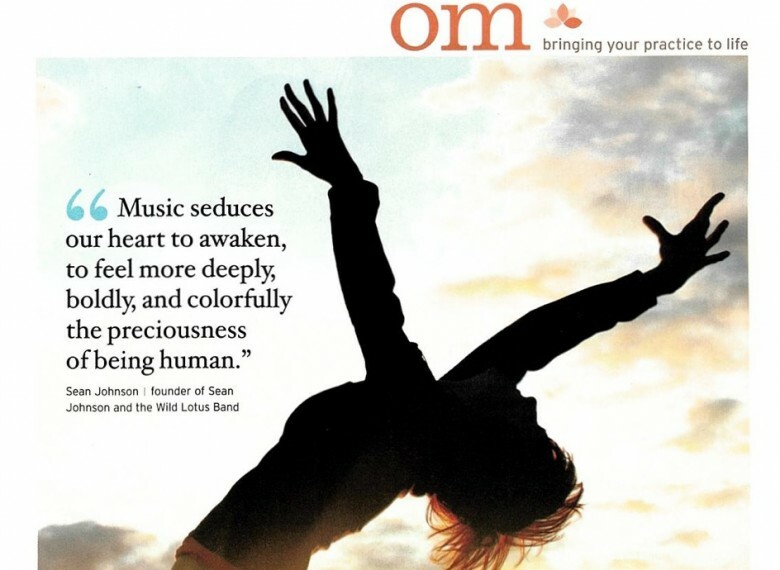 “Just as we can stretch our bodies with asana and our breath with Pranayama, we can elongate our capacity to feel and expand our ability to love with bhakti yoga,” says Sean Johnson, the lead musician of Sean Johnson and the Wild Lotus Band and founder of the Wild Lotus Yoga studio in New Orleans. 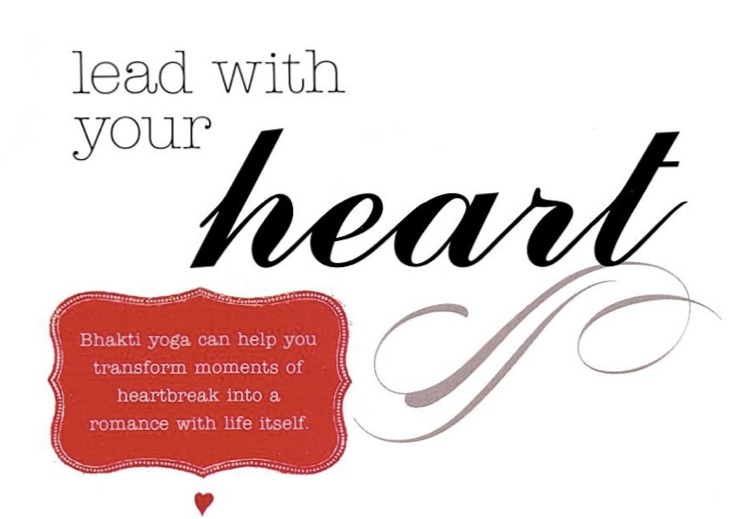 Johnson found bhakti yoga in his early 20s when his first love ended in disappointment. 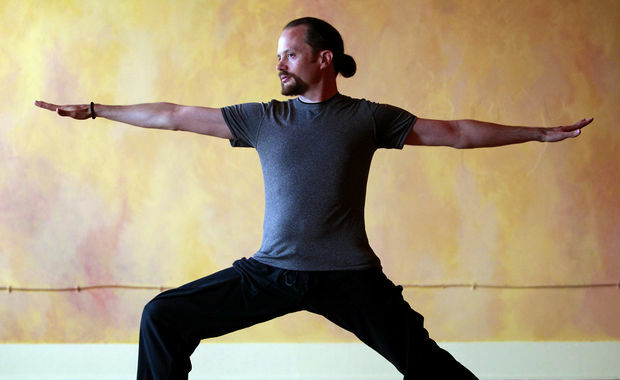 He chose the latter option and has dedicated his life to teaching bhakti yoga and helping others make the same connection to this larger, more steady sort of love. “Bhakti works with the fuel of our emotions and teaches us how to have a romance with life itself, rather than with just one person,” Johnson says. “You simply focus on taking the actions that nurture and nourish the heart.” Read the full article here. One of the things I am most grateful for is when music comes through mysteriously, like a great gift from the Universe, and we get to have the blessing of being the vessel for this music. Several years ago I was cooking a meal with my love Farah in our kitchen here in New Orleans and, as I often do, I was singing to myself spontaneously. I began singing “Om Hari Om” in a spontaneous melody. Farah stopped me and said “Sean, go get your recorder right now. That’s really sweet.” So I got the recorder and we sang it together with the sound of veggies and olive oil simmering in the background. The next day I sat at my altar at home and started developing the chant more. Alvin and Gwendolyn and I got together shortly after and they added their unique flavors to it with guitar and percussion and the song was born. Read the full interview here. “Six years after Hurricane Katrina left an entire city in desperate need of mind-body-spirit rehabilitation, there is mounting evidence that New Orleans has become one of the hottest yoga spots in America. Sean Johnson, founder of Wild Lotus Yoga Uptown and in the Marigny, estimates the number of New Orleans studios has jumped from six pre-Katrina to 22 today. Yoga Journal, the largest-circulation yoga magazine in the country, cited that figure when it featured New Orleans among its “10 Fantastically Yoga-Friendly Towns” earlier this summer.” Read the full article here. New Orleans kirtan musician Sean Johnson of the Wild Lotus Band incorporates global fusion music, a little pop, and yogic chants in his lively vinyasa flow playlist. While in Down Dog, you might bounce to the Beastie Boys’ beat or sway to Sanskrit chants. 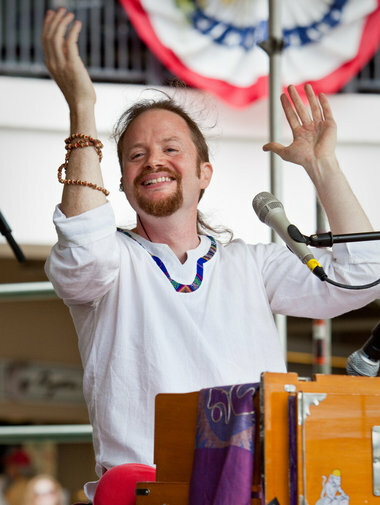 Many of the lyrics are sung in foreign languages, which, Johnson hopes, will encourage yogis to pay attention to the music instead of the words.- ERICA RODEFER See the playlist here. The beloved New Orleans’ kirtan group Sean Johnson & The Wild Lotus Band blends mantra, Rumi poetry, funk and more into its latest musical creation. Read the full article here. WHO HE IS: The New Orleans native owns Wild Lotus Yoga studios in New Orleans and is part of the Wild Lotus Band, playing a musical style called kirtan. Read the full interview here. 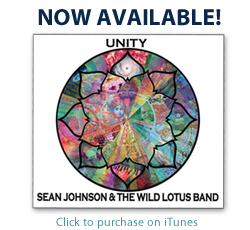 “Are you familiar with the music of Sean Johnson & The Wild Lotus Band? No doubt you are, but here’s a chance to get to know Sean even better as he talks with Ramdesh about mantra and his spiritual journey.” Read the article and listen to the podcast here.